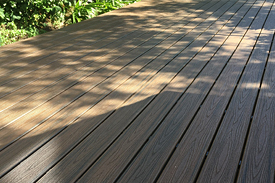 Merbau (also known as Kwila) decking makes up nearly 50% of all decking timber used in Australia. 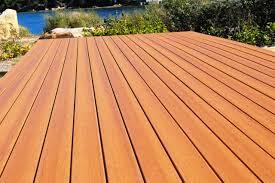 This makes Merbau by far the largest single decking timber used in the Australian market (hardwood or softwood). All development work done on the KlevaKlip "Merbau clip" was done so using 90mm Kiln Dried "DNA Merbau", supplied by Simmonds Lumber Group. 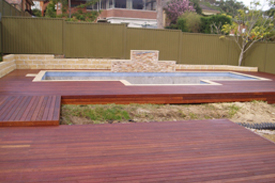 Simmonds Lumber are by far Australia's largest supplier of Merbau decking, so there is a very good chance that your local timber retailer is already a customer of Simmonds Merbau. Environment - DNA Merbau is "traceable and sustainable", meaning that the trees used for supp lying this Merbau are cut from sustainable forest sources. Quality - The KlevaKlip system relies on a "fixed pitch" principle. This means that it is very important that the boards used are as consistent as possible in size and quality. KlevaKlip testing has found Simmonds DNA Merbau to consistently be made to the tightest tolerance (90mm) and best overall quality in the marketplace. Does the Merbau KlevaKlip fit other timbers? The Merbau KlevaKlip has been designed to fit 90mm Kiln Dried Merbau/Kwila shrinkage rates and density. Other types of hardwoods (eg: Yellow Balau, Kapur, Ironbark etc) have not been tested by KlevaKlip and may prove unsuitable for use with this clip. 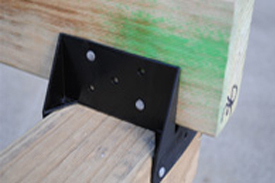 KlevaKlip makes no representations that its "Merbau clip" will work with other types of timbers. The Merbau clip has been designed to fit 90mm Kiln Dried Merbau/Kwila. 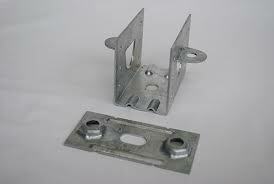 The clip will perform to its optimum for Merbau that is sized between 89.5 and 90.5mm. Merbau consistently sized outside this range may prove unsuitable for use with this clip, as will Merbau that has not been Klin Dried. Other types of hardwoods (eg: Yellow Balau) may prove unsuitable for use with this clip, due to the timber being "air dried", too hard, too instable, or a mixture of these properties. Note - timber with a hardness rating above 9.0 KN on the Janka Hardness Scale will not be suitable for use with our clever clip.